Designed for Frigid Cold - Zero degrees. 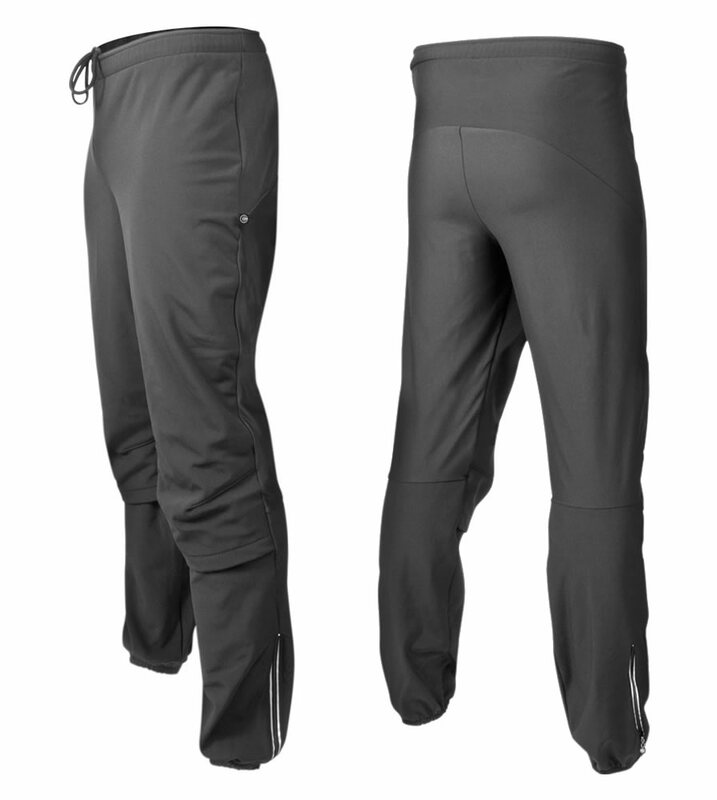 These ATD thermal windproof pants were designed to keep tall men warm during the frigid winter temperatures. It features a three-layer laminate for windproof, water-resistant insulation for cycling or exercising outdoors. The front thigh panel has an extra fourth layer of polyester mesh next to the skin to keep you dry and protects those muscles from head winds. 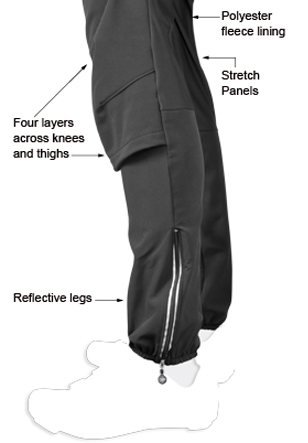 The knee and rear panels include stretch nylon for freedom of movement and flexibility. No restricting fabric on the knees! A drawstring waist keeps these pants in place. The ankles have 10 inch zippers for easy use and ventilation, and are reflective for extra visibility. I used these a lot this winter and winter is not over, I found them warm, comfortable and rather nice but....the left zipper broke and the tabs on the zipper handle have come off. Good - Could be great. So happy to find apparently the only vendor in the country that makes mtb clothes for folks over 6' tall. 6'3", 190 LBs and the large tall fits me fine (35" inseam). I empathize with the other reviewer lamenting that if you're tall, you must also be fat, but these pants fit me OK. Like others have said, they really could use a couple of zippered pockets. Also, the elastic/drawstring cinching is not my favorite. Add some belt loops and/or ditch the drawstring entirely. The pants themselves are comfy and really warm, and they do their job very well on the trail. I'd recommend them to my friends, but they're all shorter than me and can find clothes at REI or wherever. Once again, the fatter you get the taller you get??! I'm thin and tall! Why can't you make a 36 x 36? I don't have a 40 waist. Not sure where on earth waist size = longer legs!? Excellent fit - I am 6'6" 210#s and the Tall XL fits perfectly. Waterproof panels where they meet the wind, stretch where they do not, vented at knees, zipper trouser cuffs. Great workmanship and materials throughout. Best cycling and rowing pants ever ? Living in Colorado where the weather is so unpredictable, I decided to try these pants. They are everything advertised as they are extremely warm and light weight for my bike riding. I have used them when the temperature was in the 40's and in the 60's and they were comfortable under both conditions. I highly recommend them. I also ordered the incorrect size and the exchange process was simple and efficient. As cycling pants they are great and the 36x36 fit great BUT I wish they had a pocket or pockets, hence giving 4 stars not 5.